Fabulous grilling station with sink and refrigerator. 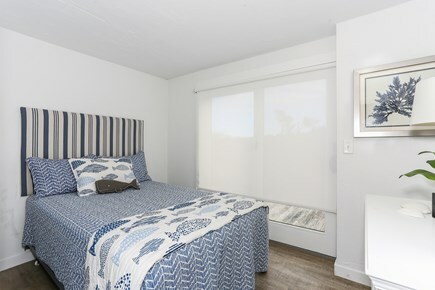 Ocean Room is the 1st floor master/en suite and private deck. Nestled high on top of a sand dune is ''The Bungalow House.” This vacation home is not your typical Bungalow, it is absolutely luxurious. 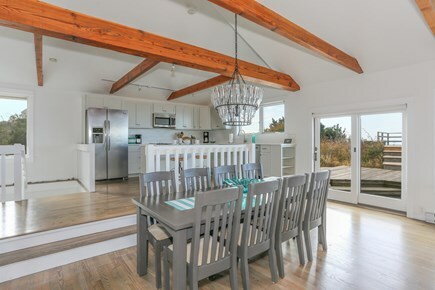 As you step through the front door, the ocean views immediately captivate you along with the miles of white powdered sandy beach which lines the ocean edge. At night, it is mesmerizing to look upon the ocean and see the the lights of Provincetown shimmering off the water, along with the stars and moon - it's magical. 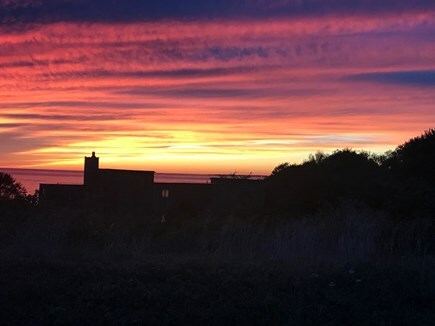 The sunsets are breathtaking, too, and to be enjoyed from the deck or down the stairs to your private beach. The Bungalow House provides plenty of room boasting 5 bedrooms, 3 full bathrooms and an outdoor shower. 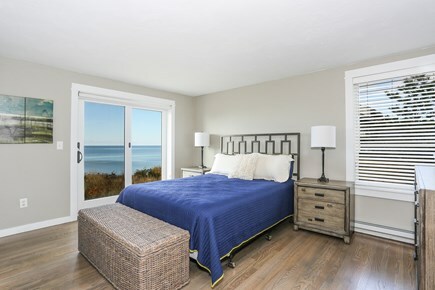 The master bedroom offers ocean views, its own luxurious bathroom, king size bed, and a quiet work space for those who need to take care of business while away, and is located on the first level for easy accessibility. There is another full bath on the first level which is shared and one on the lower level, also shared. 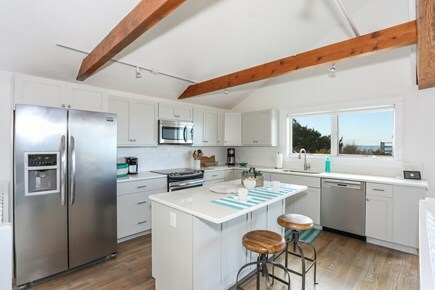 The floor plan is open, so it's great for families and friends to gather together with lots of windows to soak in the beautiful views and a great deck overlooking the blue ocean waters and ever changing scenery. There are additional spaces outside to escape and relax for some quiet time. The Central AC is a must for those who need more than the fresh ocean air to cool off especially for those hot days. The setting is special being that it offers privacy and is surrounded by nature. This is a place to escape the daily demands and retreat to peace and tranquility. 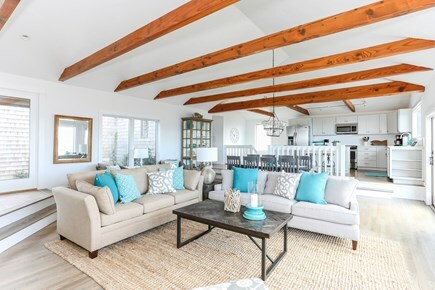 Enjoy long walks along the beach, kayaking and exploring, or relax in a beach chair and take in the the beautiful scenery and fresh ocean air. 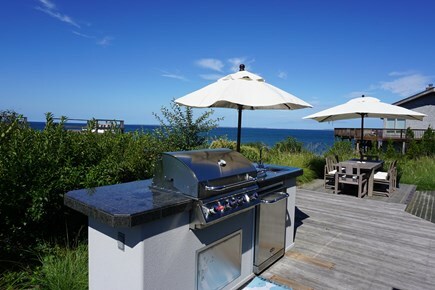 The outdoor living is equipped for those who enjoy grilling and entertaining so you never have to leave “ The Bungalow House'' and deal with the busy restaurants. 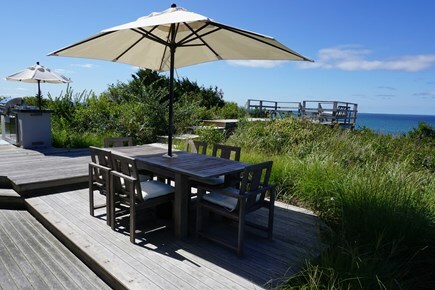 However, if the mood strikes you Provincetown is close by for great restaurants, shopping, and lots of fun. 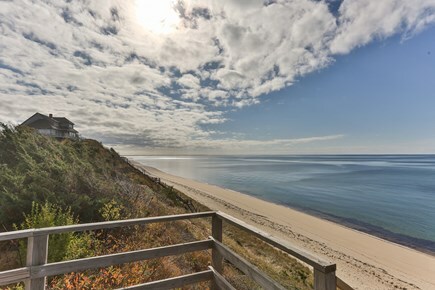 Also, Wellfleet is right next door and also offers a quaint village atmosphere, and Truro, of course, has its special places. We absolutely loved the Bungalow House. 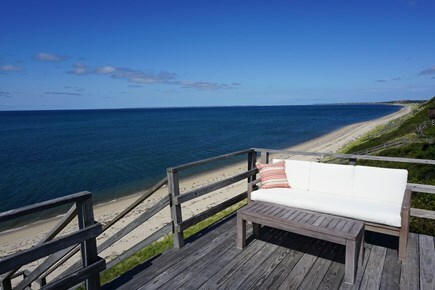 The location is perfect - right on the bay beach with gorgeous views - yet not too remote from the town and major highway. 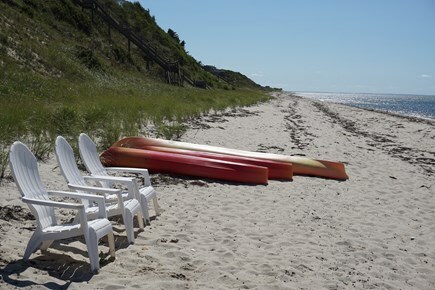 The owner’s kayaks and beach toys were a big bonus. The house was well appointed and comfortable. We did not want for anything. The layout is great and allows everyone some privacy if needed, but has a perfect gathering space for everyone. We were 4 adults and 5 teen/young adult children and the house fit us all comfortably.